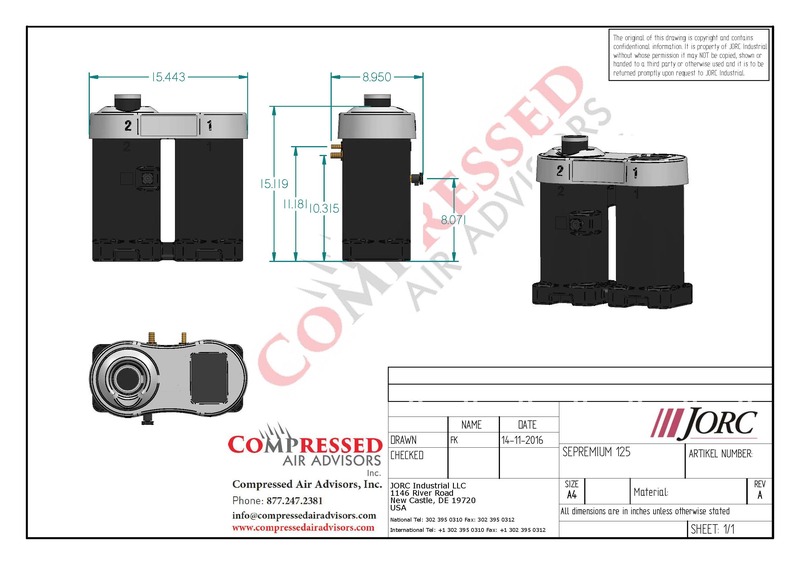 Specially designed for compressed air applications from 70 to 125 CFM, the SEPREMIUM 125 oil/water separator is a simple and cost effective way to meet environmental regulations for condensate disposal. 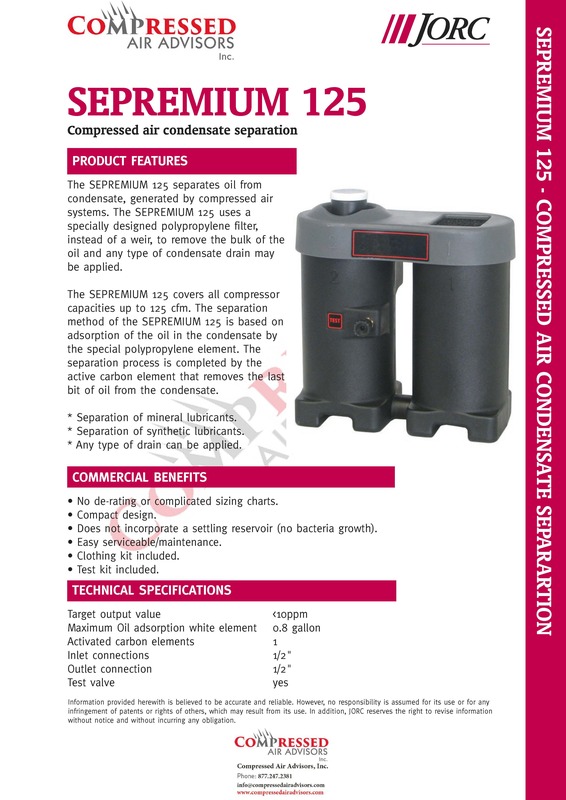 With an advanced polypropylene adsorbent media and a carbon polisher, the SEPREMIUM 125 can separate virtually any condensate containing any compressor lubricant discharged from any type of condensate drain, and it does so without the need for a condensate settling tank or storage chamber. SEPREMIUM oil/water separators are the most cost effective and reliable solution to meet environmental regulations for condensate treatment.